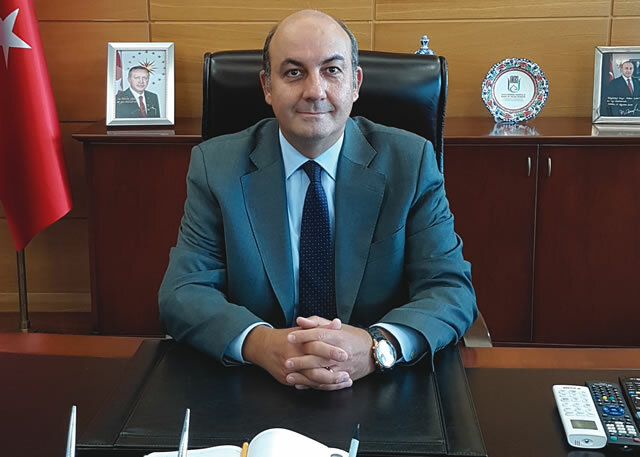 The federal government has summoned the Turkish Ambassador to Nigeria, Hakan Çakıl, for talks over the massive illegal shipment of arms from his country to Nigeria. The government will at the meeting, which is expected to hold Friday, express its dissatisfaction over the matter and demand immediate action to curb the menace. The Comptroller General of the Nigeria Customs Service (NCS), Col Hameed Ali (rtd. ), stated this Thursday while addressing newsmen on the latest discovery of another container of arms imported from Turkey. Ali also disclosed that the Customs Service has uncovered the army syndicate in Turkey, giving the identity of the importer of the arms as Great James Oil and Gas Limited. Ali also said all Customs Area Comptrollers had been placed on high alert at all entry points into the country, including the airports and border posts. He said the service was also collaborating with the Directorate of State Service (DSS) and the National Intelligence Agency (NIA) to nip the menace in the bud. “Now that the Tin-Can Island port has become a hot spot for arms smuggling, these criminals will move elsewhere and we must be at alert,” he added. A visibly angry Ali disclosed that President Muhammadu Buhari has discussed the matter with the President of Turkey, Recep Tayyip Erdoan, at the on-going United Nations General Assembly (UNGA) in New York. He stated that the latest seizure of 475 rifles was successful because the Customs intelligence unit had tracked the vessel conveying the container from the high seas and subjected it to 10 per cent examination on arrival. Ali stated that as a result of the high rate of false declaration, the Customs Service would henceforth no longer abide by the ease of doing business policy because the country was at a critical time and facing serious security challenges. He said the latest container conveying the arms was cleared under false declaration, adding that over 80 per cent of the goods that come into Nigeria come under false declaration. “That is why we find it difficult to effectively execute the ease of doing business policy. Because if we fast track clearance and depend on the documentation, these kinds of arms are what we will be unleashing on the Nigerian people. This means we must take all containers for 100 per cent examination. “But this will make other importers suffer. However, they don’t write the word ‘cheat’ on one’s face, so there is no way we can know if you have concealed something or not. “Except Nigerians begin to do the right thing and become honest in the way they do business, it will be difficult for Customs to clear goods within the timeframe that is globally acceptable. “We cannot shy away from our responsibility because the security of this country is very important,” he stated. THISDAY had exclusively reported on Wednesday that the NCS, Tin Can Island Command had intercepted a container with 475 rifles imported from Turkey, bringing the total number of illicit arms smuggled into the country this year to 2,671 rifles. The discovery came barely one week after the command announced that it had intercepted a 20-foot container load of 1,100 pump action rifles last month. THISDAY investigations had revealed that the container with number CMAU189817/8 was believed to contain about 475 pump-action rifles. The 475 pump-action rifles were discovered after the Customs Area Comptroller of the Command, Compt. Bashir Yusuf, ordered a detailed profiling of the importer that had tried to smuggle 1,100 arms into the country. After the profiling, it was discovered that the latest container belonged to the same importer. The latest seizure was the third in a series of container loads of arms seizure at the Tin-Can port alone and the fourth in the country in eight months. A source who witnessed the examination of the container said that the rifles were concealed in small connecting pipes.